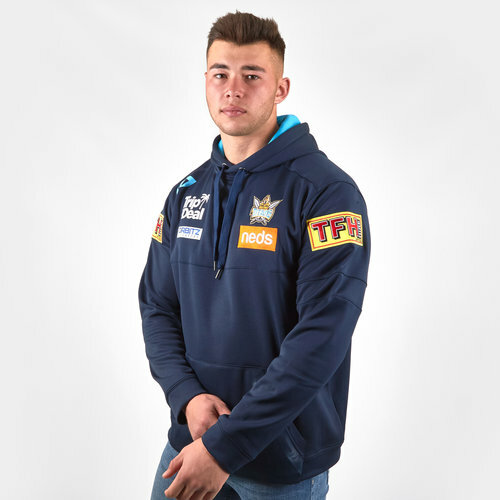 Cheer on the Titans and stay warm at the Cbus Super Stadium in this Gold Coast Titans 2019 NRL Performance Hooded Rugby Sweat from Dynasty Sport. Sticking to what is a relatively new tradition this shirt is predominantly navy with sky blue, white and gold detailing. 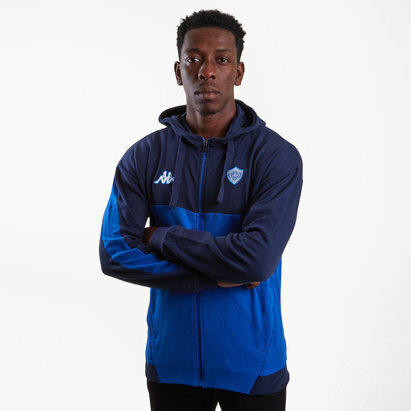 The 2019 Gold Coast Titans Performance Hoodie is the essential winter item for any Titans fan. 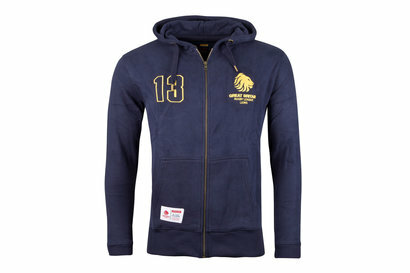 The Hoodie features bonded zip pocket, kangaroo pouch, embroidered sponsor logos, and gel Dynasty logo.